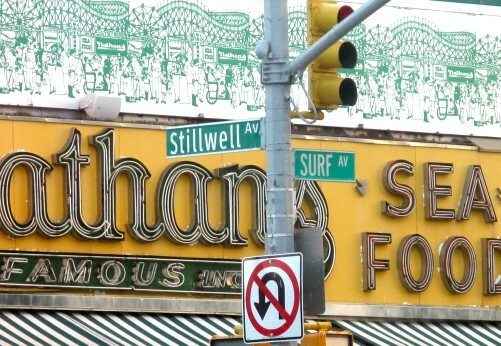 Coney Island Boardwalk Headed for Scenic Landmark Designation! There was hopeful news from a Valentine's Day meeting of the Landmarks Preservation Commission regarding Coney Island's Riegelmann Boardwalk. In an apparent reversal of their past refusal to grant Scenic Landmark status for the iconic boardwalk, the agency is now offering to protect and honor the nearly century-old structure. The designation is a positive and welcome first step toward recognizing the historical and cultural significance of the Boardwalk, something that advocates have been hoping and fighting for. The landmarking effort was spearheaded by Councilmen Mark Treyger and Chaim Deutsch, who began meeting with the LPC back in 2014. 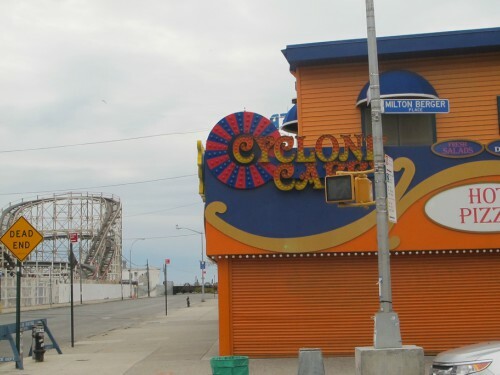 Councilman Treyger pointed out that landmark status will preserve the Boardwalk in perpetuity and require oversight, review, and public scrutiny when major changes are proposed by the NYC Department of Parks, which oversees the beach and Boardwalk. The unusual public outreach meeting, hosted by Treyger and Deutsch and attended by LPC Commissioner Srinivasan and four staff members, was held at the YMCA in the West End of Coney Island. As we've noted before, landmark designation is advisory and has no regulatory input on requiring a wooden surface for the structure, as it is city owned. That will be a different battle. But it does change the legal status and regulatory oversight that will bring the issue into the public domain. Many thanks to Councilmen Treyger and Deutsch for their tireless efforts in protecting the Boardwalk. When landmarking is approved, the Boardwalk will join Ocean Parkway as Coney Island's only other Scenic Landmark. Now on to the public hearings at the City Planning Commission and a vote to make this a reality! The Clean Water Act of 1972 and a new ecological awareness changed public perception and gave new life to Coney’s neglected waterway. The 100,000 residents who live in close proximity to Coney Island Creek are coming to realize that the creek can be an asset instead of a liability. It’s now a case for Environmental Justice. Today the creek has four parks along its shoreline and is once again being used for recreation, fishing, and boating. But much work remains to be done in restoring and protecting this dynamic ecosystem. 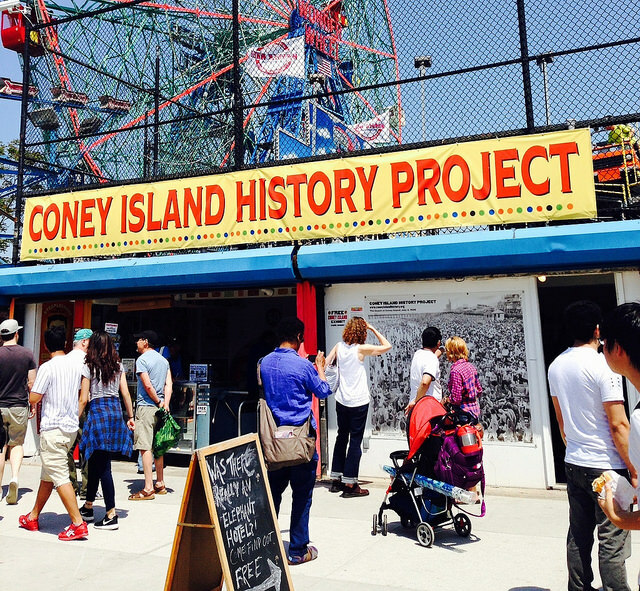 The Coney Island History Project recently unveiled our latest collaboration with P.S. 90, the Magnet School for Environmental Studies and Community Wellness. 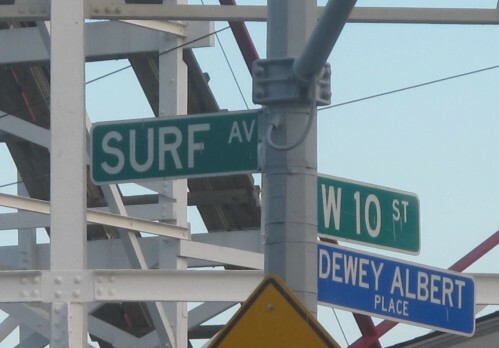 Located on West 12th Street, just down the block from the History Project, the school has a unique and historic location in Coney Island, as it's the only school in the amusement area. Our project focuses on the history of the school site and the surrounding area and explains why it's important to know the past. Students are amazed to learn that a hotel in the shape of an elephant was once located across the street from the school's site, as were the original Luna Park, an ostrich farm, and a roller coaster that ran the length of the block. The school itself was built in 1964 on the former site of the Coney Island Velodrome, a 10,000-seat oval stadium erected in the 1920s for bicycle racing and which later held boxing matches and midget car races. The Velodrome was demolished in the early 1950s, and the property sold to Fred Trump, Donald Trump's father, who eventually sold it when his plan to build housing on the site was derailed by a federal investigation into his business practices . 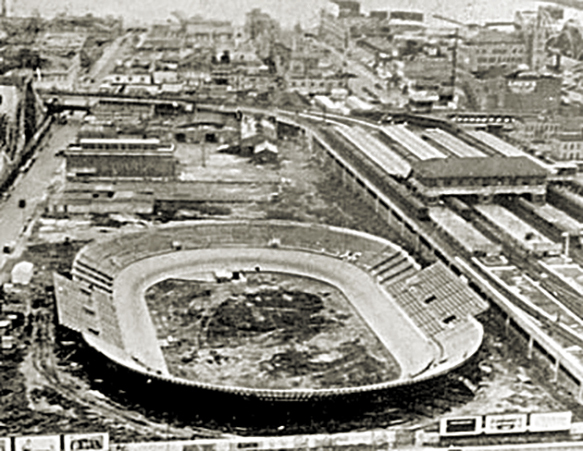 The Coney Island Velodrome in the 1930s, looking south. West 12th street is at left. The Coney Island History Project produced several archival photo banners for the school's entrance, including one that pinpoints the exact location of the P.S. 90 site as it looked in the 1880s when the Elephant Hotel stood watch over Coney Island. The banners are a continuation of our school presentations which began in April with a talk in the auditorium by History Project director Charles Denson about the history of West 12th Street and how it evolved over the years. 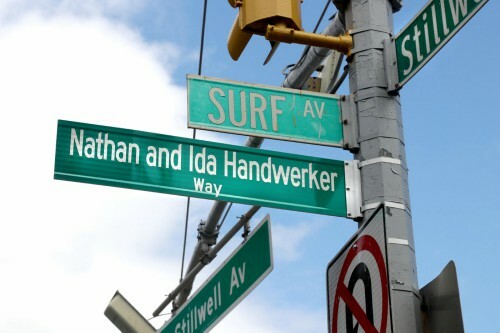 The next part of the project will be illustrated history plaques, designed to give students at the school a sense of place on one of the most interesting streets in Coney Island. This community history program is made possible with the support of New York City Councilman Mark Treyger. P.S. 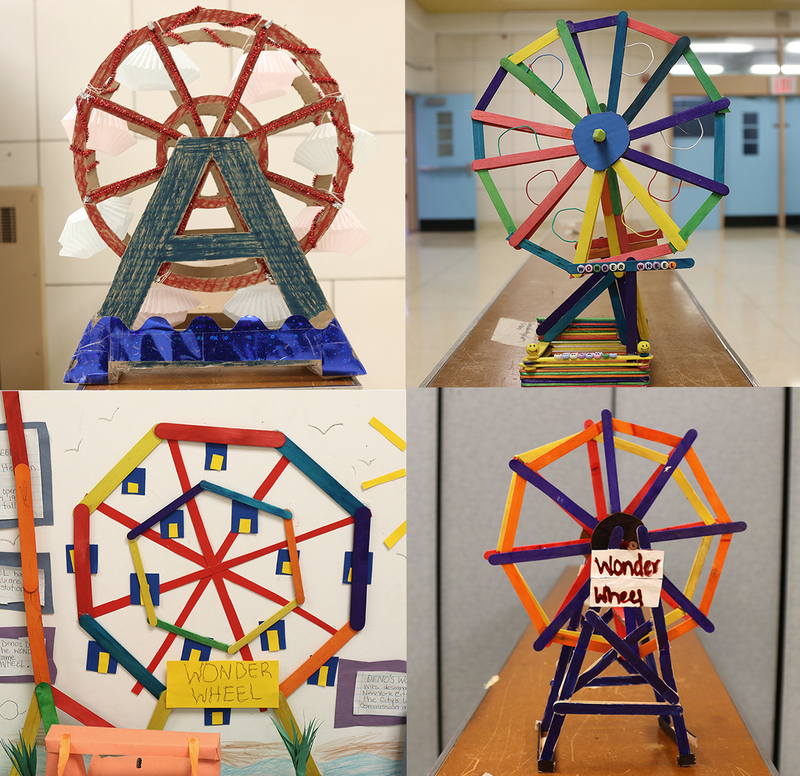 90 students are inspired by the landmarks surrounding their school. 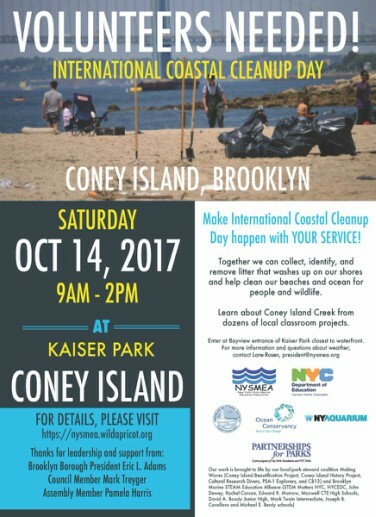 Join us this Saturday, October 14, for International Coastal Cleanup Day along Coney Island Creek in Kaiser Park. The free event is from 9AM to 2PM and will include a coastal clean-up and tables representing local schools and organizations. 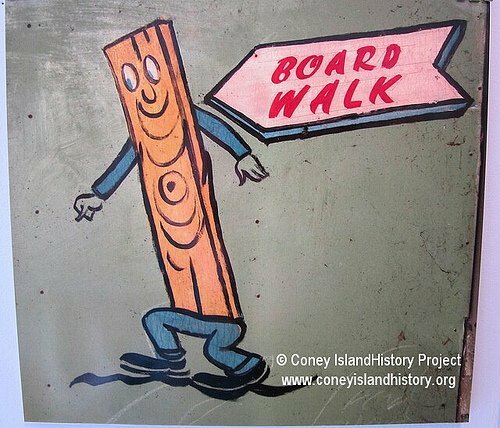 Stop by the Coney Island History Project's table to learn about our free programs and pick up a copy of the Coney Island CreekWalk booklet produced by the History Project for Partnerships for Parks. 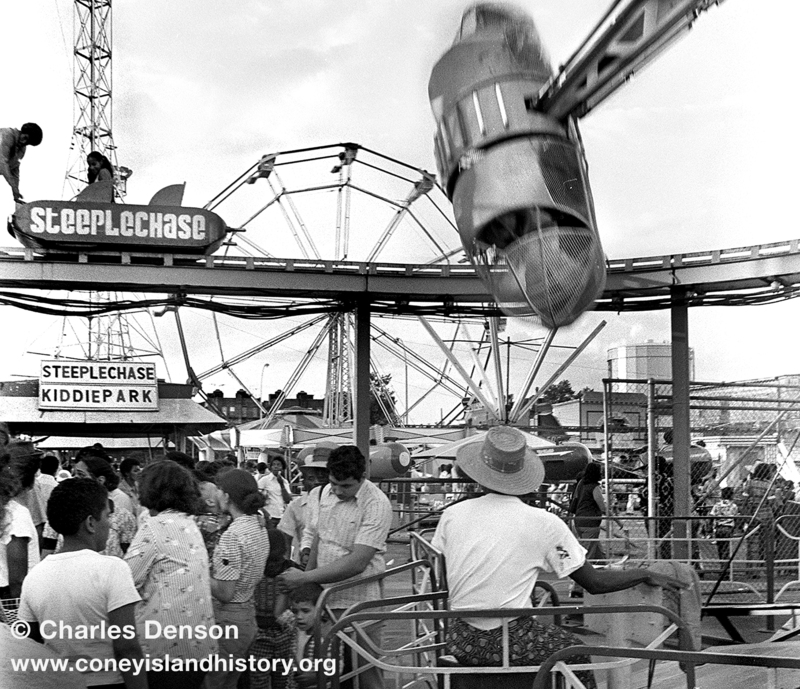 The Coney Island History Project is seeking part-time bilingual interviewers to conduct audio interviews for our oral history project in the Southern Brooklyn neighborhoods of Coney Island, Bensonhurst and Gravesend. Interviewers must have professional training and experience in oral history, radio reporting or podcasting. They will conduct, record and edit interviews in English or another language for which we may require interviewers. Additional work may include transcribing and translating interviews. 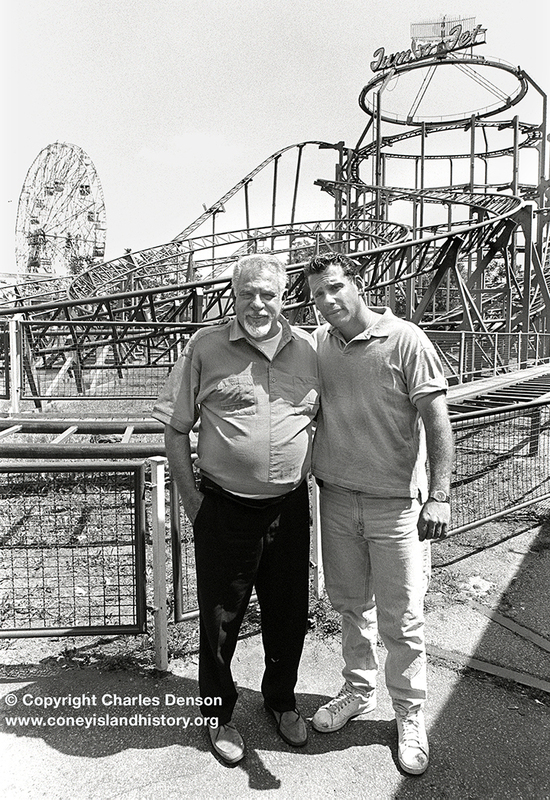 Interviews are recorded with people who have stories to share about Coney Island, both residents and visitors as well as people who work here. We are also recording interviews, both in English and other languages, with immigrants who live or work in Southern Brooklyn. Interviewers are paid by the hour for their work. This project is ongoing. Selected interviews are posted online in our Oral History Archive. We’re excited to announce the debut of the Coney Island History Project's new multilingual brochure representing our organization’s cultural activities in 10 languages - Arabic, Bengali, Chinese, English, Haitian Creole, Hebrew, Korean, Russian, Spanish and Urdu. The languages selected are among the top ones spoken by ELLS (English Language Learners) in New York City schools. Reflecting the wonderful "Melting Pot" character of Brooklyn, the brochure was made possible with funds from the Destination>Brooklyn award. Promoting borough tourism, the program is funded by the Office of the Borough President Eric L. Adams and NYC & Co. Foundation, and administered by the Brooklyn Arts Council. 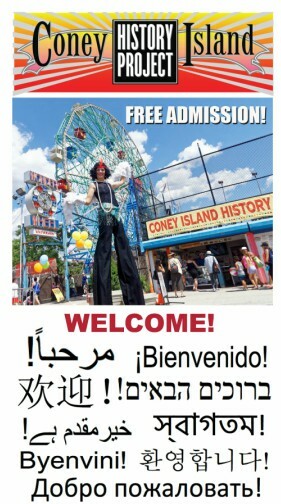 The idea for a multilingual brochure grew out of the History Project’s location in the heart of Coney Island. Tens of thousands of New Yorkers of every ethnicity as well as visitors from across the country and around the world walk by our free exhibit center on their way to the beach and boardwalk. Although we have signs that say “FREE,” it may not be clear to non-English speaking guests what kind of attraction we have and that there is no charge for admission. On many occasions, we’ve had very young children trying to interpret what we are saying for their parents or grandparents, with varying degrees of success. 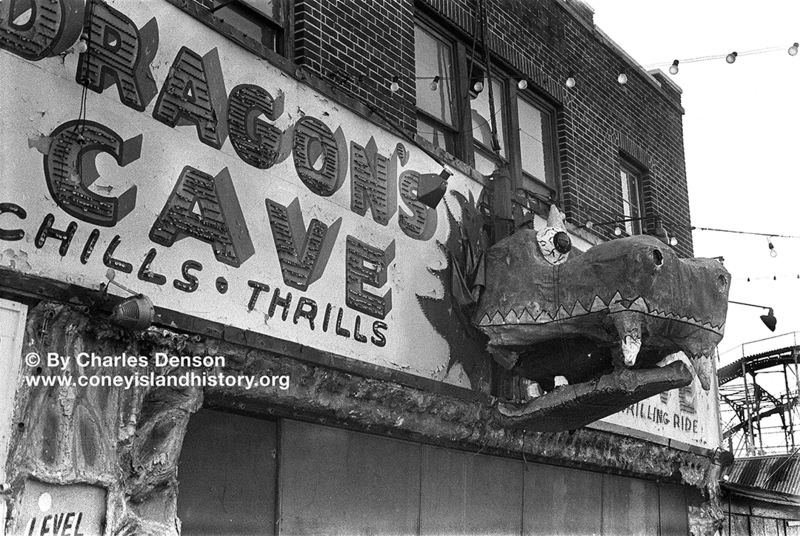 "Our Exhibit Center is located at one of the most diverse crossroads in the entire city," says Coney Island History Project Executive Director Charles Denson. "We welcome visitors and immigrants from all over the world and make them feel at home by inviting them in and answering questions about Coney Island's history and future. 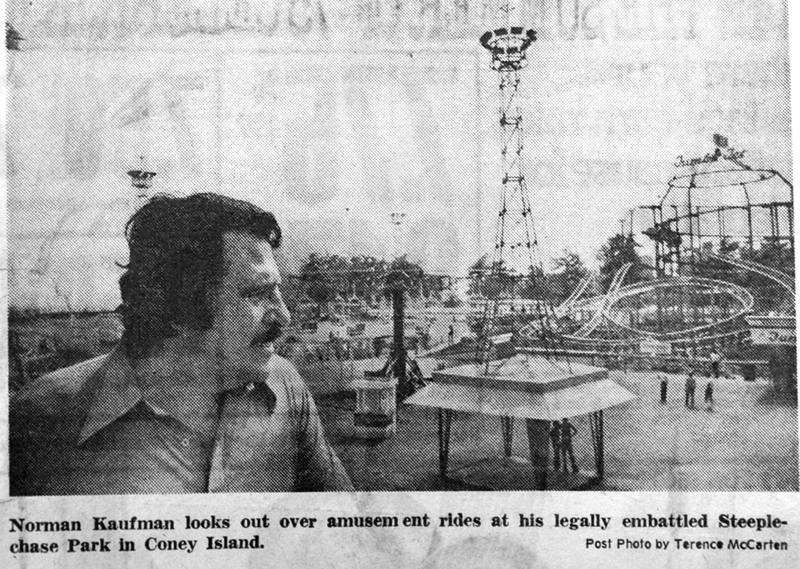 Coney Island is truly the city's melting pot, where people from all walks of life can get together and enjoy fun and a day at the beach." 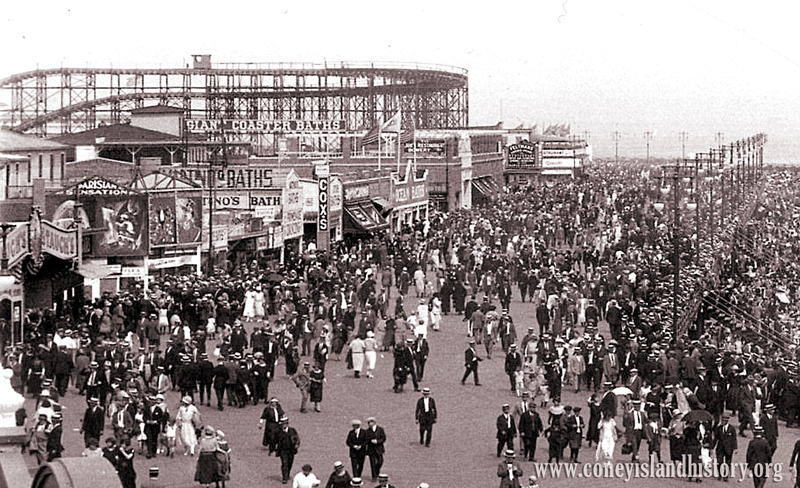 The Coney Island History Project’s website has a Google translate feature so that visitors may view a translated version of our site in more than 100 languages. 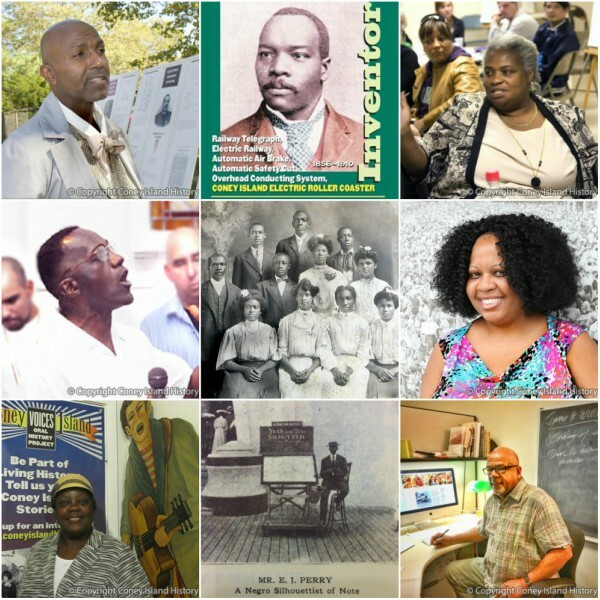 In addition, our online Oral History Archive has audio interviews recorded in English, Chinese, Russian, Spanish and Turkish. 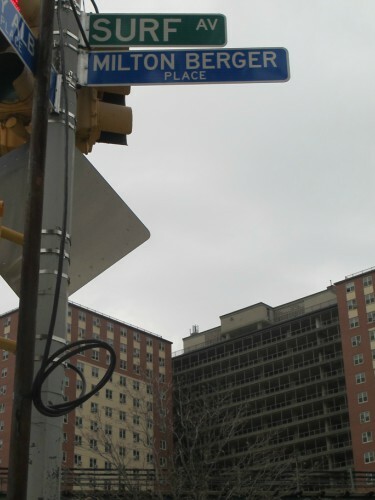 We continue to expand the multilingual character of our archive by seeking bilingual interviewers to conduct oral history interviews with immigrants who live or work in Southern Brooklyn. West 37th Street: Jewish Community Council of Greater Coney Island, Coney Island Seaside Innovative Senior Center, 3001 W 37th St.
Bay Ridge: Arab American Association of New York, 7111 5th Ave.
Bensonhurst: New York City Council Member Mark Treyger, 2015 Stillwell Ave.
Brighton Beach: Brighton Beach Library, 16 Brighton 1st Rd. Downtown: Brooklyn Borough Hall, 209 Joralemon St.
DUMBO: Asian American Arts Alliance, 20 Jay St.; Brooklyn Arts Council, 20 Jay St.
Gowanus: Fifth Avenue Committee, 621 Degraw St.
Gravesend: Ulmer Park Library, 2602 Bath Ave.; United Chinese Association of Brooklyn, 78 Quentin Rd. NYC Department of Cultural Affairs, 31 Chambers St.
Porto Rico Importing Co. Coffee Store, 201 Bleecker St. If you would like copies of the Coney Island History Project’s multilingual brochure at your business or organization or to make an appointment to record an oral history interview, please email events@coneyislandhistory.org.